Like working alongside your own personal trainer: Through the whole workout, follow the real-time video and audio instructions so you can perform the moves correctly. Diversified: The system deals a fresh workout each time; you will not get bored and will stay challenged. Adaptable: The instructions include modifications; you get a great workout adapted to your fitness level. Expandable: You unlock reward moves as you progress. Simple: You only need a mat, ideal for small spaces, no gym required, perfect for the business traveler or the person who hates the gym. 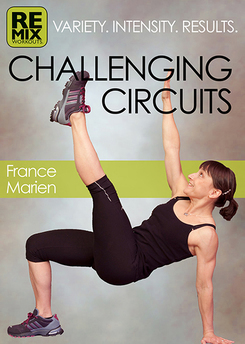 Motivating: Between circuits, listen for quotes of encouragement, some fun, some serious. ﻿Effective: ﻿Stick to it, and you will see what results, variety and intensity can bring. Lean, strong, powerful you! The varied combinations of aerobic and resistance exercises will kick your metabolism into high gear. All you need is a small space and a mat. Modifications included for beginners. Maximize your exercise time by working multiple muscle groups simultaneously every time you use our app. Tone your body moving through our calm and controlled circuits. You will need a small space, hand weights, and a mat. 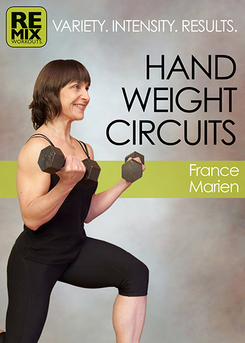 Beginners: use 2-5 pound weights. Perform a customized body weight or hand weight circuit. You can also mix both types of exercises to create an exhilarating workout. You will need a small space, hand weights, and a mat. 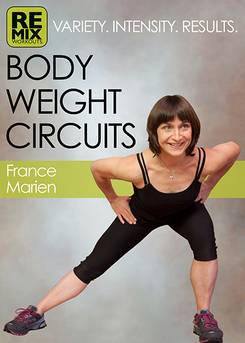 For intermediate/advanced exercisers. “This app is going to set a new trend for how workout apps are made. It's unlike anything else out there. It's your own PERSONALLY MODIFIABLE WORKOUT VIDEO!